This was hand made by one of our loyal members Tina S. You can see the love and care that went into making this beautiful necklace. 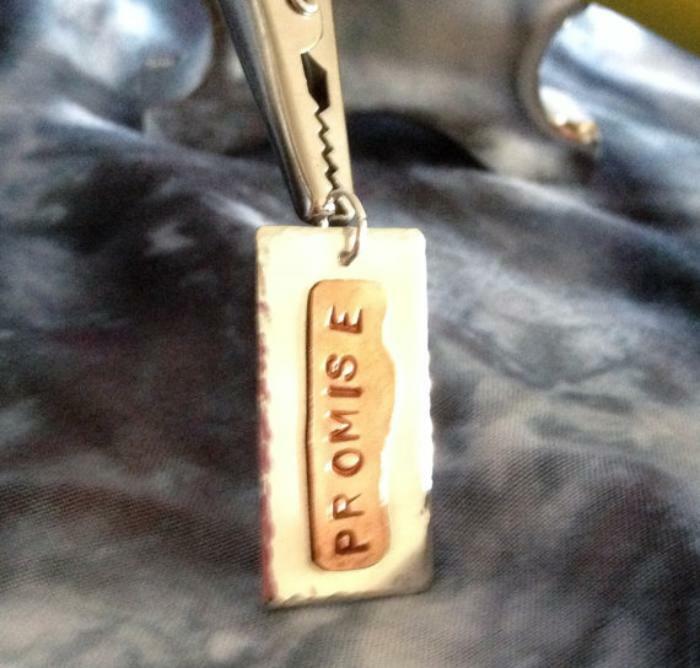 This pendant is crafted from sterling silver, with textured edges and a copper tag that reads, "promise." The pendant measures approximately 2.75mm x 1.25mm. It is ready for your favorite chain or cording.